Garden2Table: Chris Hadfield and Irma Coulson in the Kitchen and St. Ignatius Public School in the Garden! 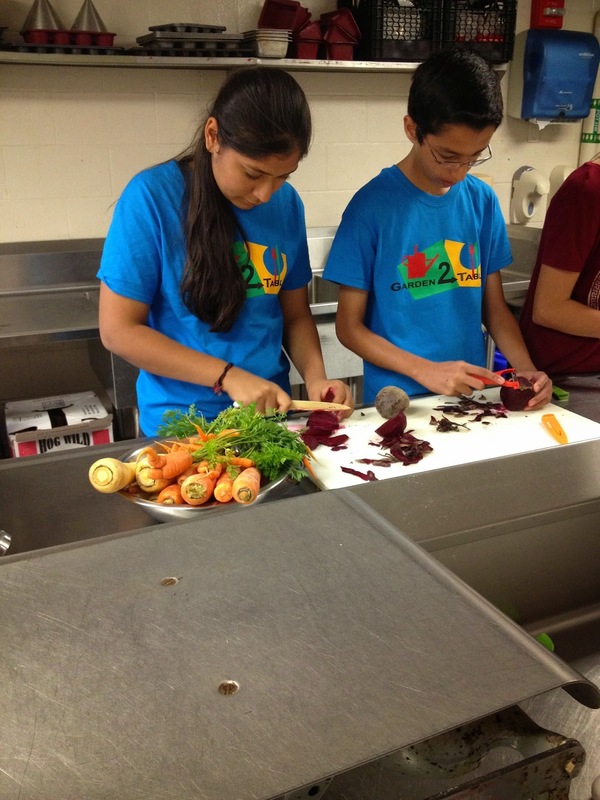 Chris Hadfield and Irma Coulson in the Kitchen and St. Ignatius Public School in the Garden! 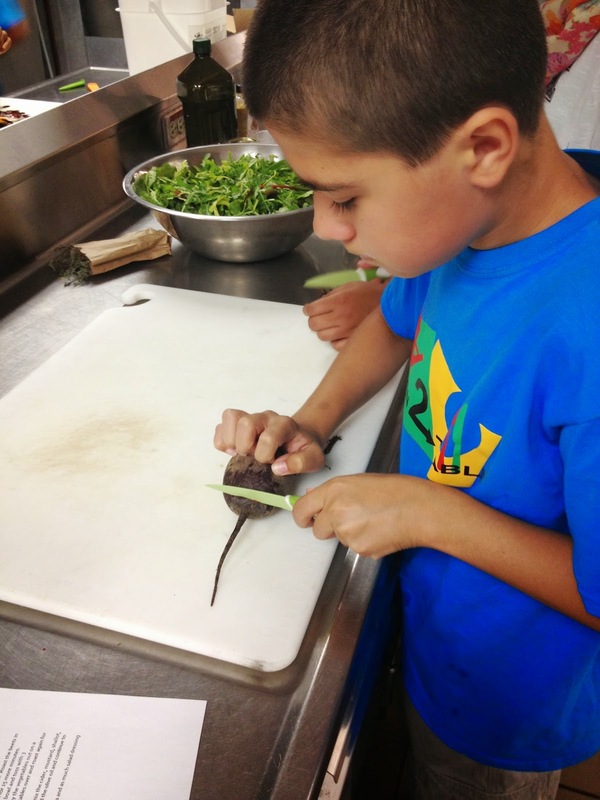 This week we were fortunate enough to have Chris Hadfield and Irma Coulson’s Eco-teams come to the kitchen. They were a FANTASTIC group of students and teachers, who were all incredibly passionate about gardening and whole food, and eager to learn new skills and knowledge. On Monday, September 29th the students came to PJ’s restaurant on campus to use the state-of-the-art kitchen and appliances. Everybody was very enthusiastic about putting their kitchen skills to work and all the recipes turned out delicious. We made a Fall Harvest Salad with roasted beets, carrots and parsnips on a bed of mixed arugula, Celeriac and Potato Soup, and for dessert an Apple Cobbler. All of these recipes were inspired by what is available in our garden as well as at local farmer’s markets right now. 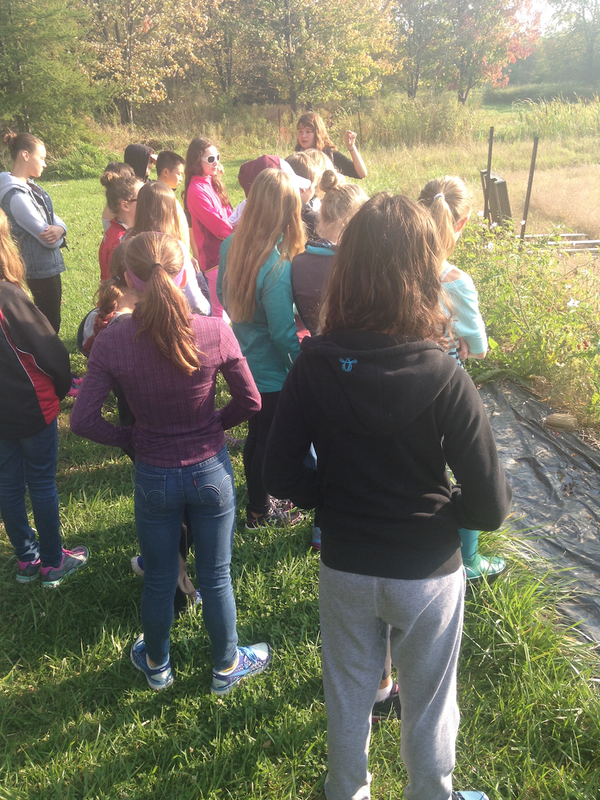 Later on in the week we welcomed Grade 7 students from St. Ignatius Public school to the garden. It was a beautiful fall morning to be at the Urban Organic Farm, even with the smell of comfrey tea lingering in the air. Our Garden Assistant, Hannah, took the kids for a tour of the garden and talked about all of the eco-friendly and sustainable practices the garden uses. We also tried spilanthes, which is also named the toothache plant. But unfortunately, it was nothing like the minty flavor of Oragel. To say the least, most students (and volunteers) will probably not be using this remedy in the near future. After a quick snack break and sometime to enjoy the scenery and sun, the students help harvest some potatoes that we will be using in a soup for their kitchen visit! 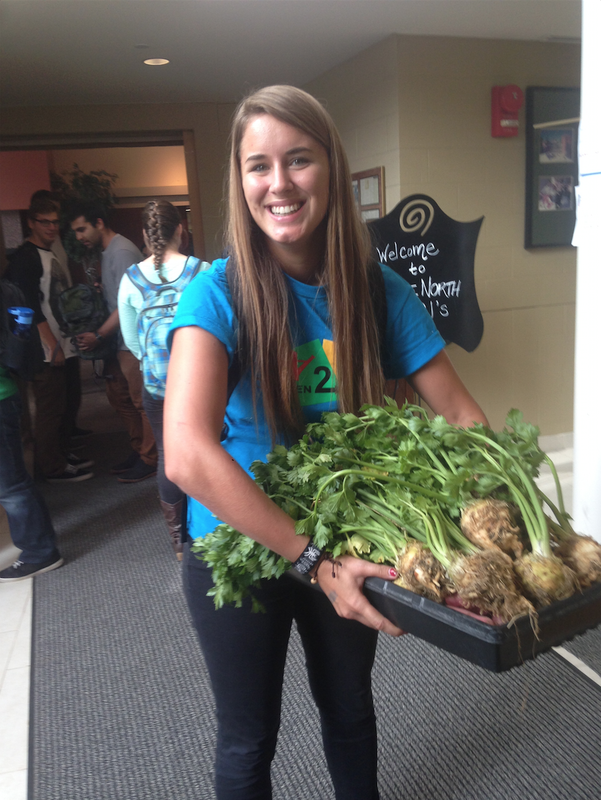 This group of students will be back on campus on Monday to cook up a storm with the Garden2Table team and volunteers! Friday’s visit marked our second last garden visit of the year. 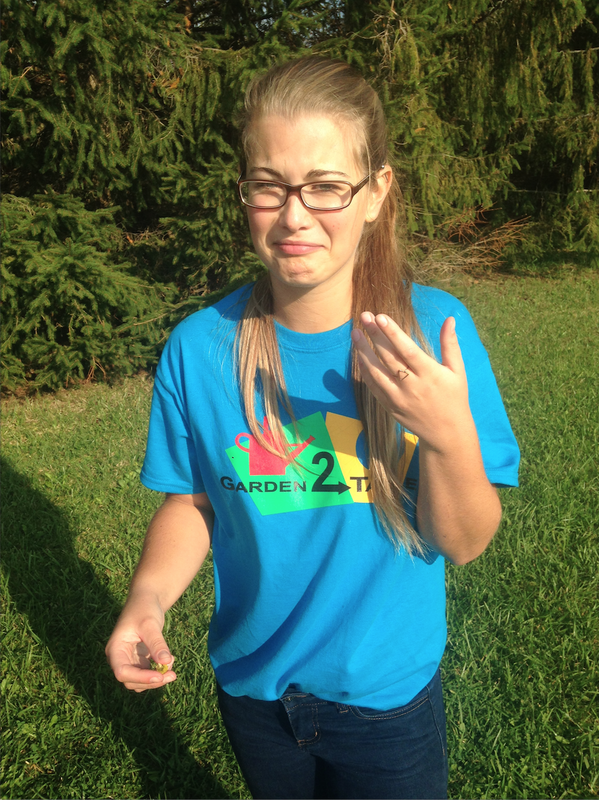 As the days get cooler the Garden2Table team is sad to say goodbye to this part of the program for another year!